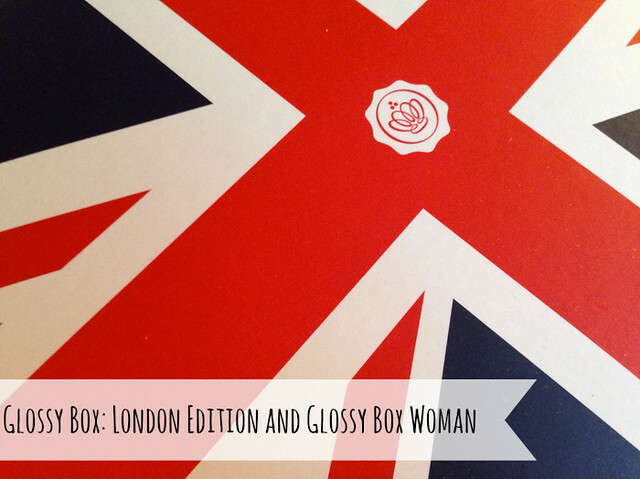 Glossy Box September ‘London Edition’ and Glossy Box Woman. 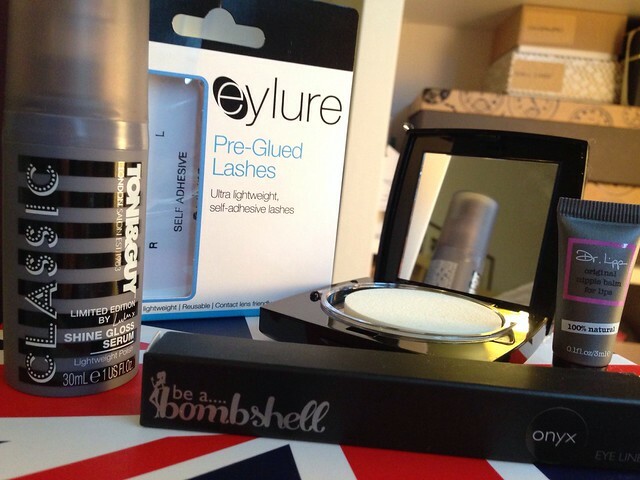 Following swiftly on from the earlier Beauty box post I have a little round-up of not one but two Glossy box products. Firstly, the London Edition box (love the Union Jack design) and then a little shout out to the new Glossy Box Woman service – covering the more premium end of the market rather than the more mainstream range of products generally covered in the monthly Glossy Box. Toni & Guy Shine Gloss Serum – I’m a big fan of Toni & Guy hair products and have tried a few of the products over the years and really like a lot of the range. One of them has been this shine gloss serum – I’ve had to go light on this as my hair is fine and can get weighed down. But a tiny pump of this smoothed all over is fab. Be a Bombshell Onyx Liner – Not a brand I’ve heard of, but always good to have a black liner. This is one for those that want a full-on dramatic black line not just some subtle definition. HD Brows Bronzer – When I first saw this I thought it was another HD brows palette (not a bad thing, but I have seen them pop up in boxes a fair few times) but this is a bronzer. I’m not really a regular bronzer user, but the colour is nice and the brand is good quality. Dr Lipp Nibble Balm for Lips – I’ve reviewed in the past (see HERE) it’s a great lip balm, and can be used all over (as the name implies) but personally lips and cuticles are my top picks. A little sample size of this will last a surprising amount of time too! Eyelure Pre-Glued Lashes – Nice, but not really a lash person. Love lashes, but tend to rely on a mascara rather than the faff of applying falsies. But do hear that these pre-glued ones are pretty good…might be tempted to give them a whirl! I can just never quite find the time or reason to add lash application to my get ready routine. 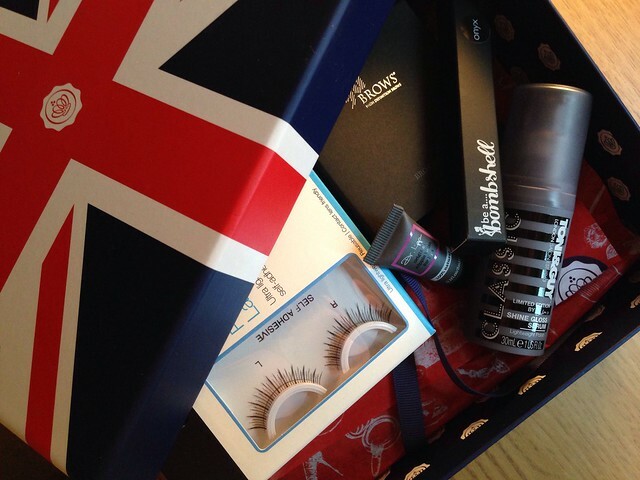 That’s it – not a bad round-up and to be honest, the Union Jack box made this box a special one for me. My top pick product wise would have to be the Toni & Guy serum – always a handy one to have! Next up we have a look at the contents of the Glossy Box Woman – a new offering from Glossy Box, aimed at the 40+ market. Which isn’t me, but I’d be pretty darn ecstatic to receive the contents of this box. 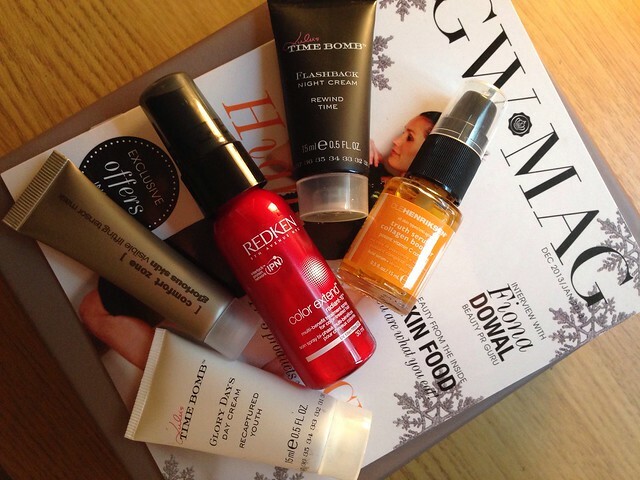 There are some total gems in there – especially the Ole Henriksen Truth Serum Collagen Booster, an amazing product that really packs a radiance-giving punch. Then there’s a little (perfect for travel) Redken Colour Extend Treatment Spray and two products from the Lulu Time Bomb range – Flashback Night Cream and Glory Days Day Cream. Finally there’s a very special product from Comfort Zone – a really premium brand that’s not the easiest to get your hands on as only salon based – but this mask is gorgeous. It’s called ‘Glorious skin’ and who doesn’t want that?! This is great for anyone with dehydrated or dull skin who want a really quick boost. The Glossy Box Woman box is available every 8 weeks and is priced £14 (plus £2.95) and also includes a little glossy magazine with some skin care tips and other articles. I have to say that I’d say this box really appeals to me – and I’m in my twenties. But they describe the box at being aimed at the ‘experienced, savvy, beauty connoisseur’ – I think the age window could be opened for this a lot lower. But the target is just that, a target not a limit. I’m really interested to see what they deliver in the next Glossy Woman box!